When disaster strikes, a first aid kid could very well be the difference between you or a loved one making it out alive. If you’re reading this article, you probably already know that; you’re obviously interested in you and your family’s own well-being and had the good sense to get this information in the first place. However, even people who already have their first aid kit stocked can often leave out not-so-obvious essentials that will put you and yours a step ahead in a pinch. 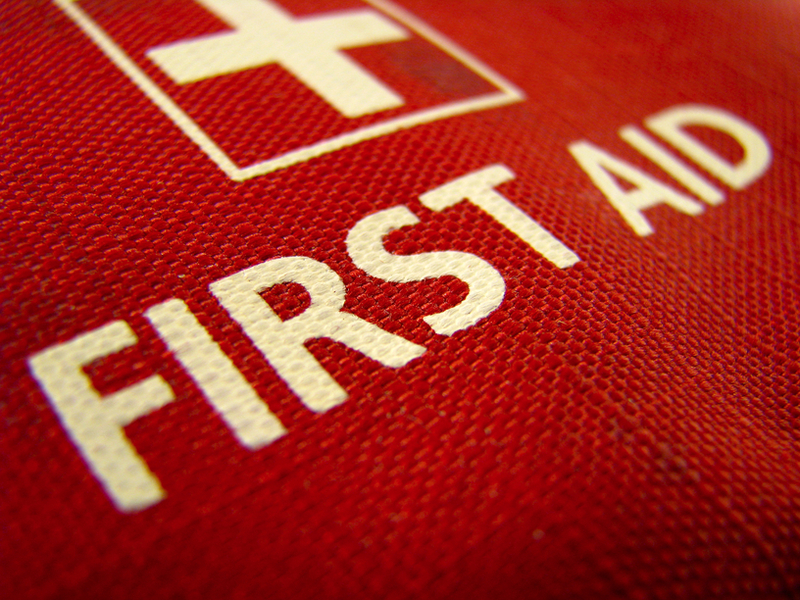 In this article we’ll go over the essentials, as well as a few items usually left outside of the scope of a normal first aid kit along with their uses. – Needle and thread: This is a big one, not only can this come in handy in non-medical related matters (sewing rips in clothing, sewing clothing or other materials together to create a shelter or large blanket, etc.) but can also be used as a way to stitch cuts. Hopefully it never comes to that, as non-dissolving sewing thread and a large gauge needle are certainly not ideal for this, but it’s a lot better than a bleeding, open wound ripe for infection. – A flashlight: While this item is already likely in your larger survival or disaster kit, it’s a good idea to keep a small one in your first aid kit as well; if you have to move quickly and can only bring this small box, you won’t be stuck in the dark when night falls. Tip: Check the batteries regularly and have a spare set in your kit. – A Swiss Army knife: Be prepared, it’s the Boy Scout motto for a reason, and it’s the same reason they carry pocketknives. In addition to the blade, these have a plethora of nifty gadgets onboard that can come in handy (bottle opener, awl/punch, mini-scissors, tweezers, toothpick, the list goes on). Bone saw: Yikes! This is another of those “I sure hope it never comes to that” type items, but if a limb was ever stuck or crushed in a natural disaster, or if a limb was infected, this may be the difference between someone losing a hand and losing their life. Pack it away, and then pray nobody has to ever get the “127 Hours” treatment. Tourniquet: While you can always use a belt or something when pressed for time and resources, having an actual tourniquet isn’t a bad idea. If someone is bitten by something poisonous or bleeding profusely you’ll be glad you have one on hand. That about sums it up. In your larger disaster kit, be sure to keep things like water and food on hand, but that’s a list for another article. Also, when it comes to first aid kits like the one listed above, try to have, if not a full kit, some element of a first aid kit in your car as well as at home; it’s not a bad idea to know where your first aid kits are at work either.